No recent posts, been busy working - hoped to have uploaded some photos - but cant get blogspot to upload..
today, it struck me that this would be the obit of Father D. B. Clayton, who died as he was getting dressed at his son's home in Columbia SC to take the train up to Greenville NC. Long ride now, longer ride then. 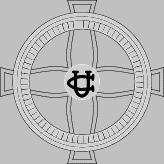 "The work in North Carolina became the responsibility of The Women's National Missionary Association of the Universalist Church, now the Association of Universalist Women, in 1912, when by a vote of the Universalist General Convention, now The Universalist Church of America, it became apparent that denominational aid to the parishes inNorth Carolina was to cease. Believing that assistance should be extended until those struggling churches should be in a position to finance themselves, the Association voted to accept the responsibility for an indefinite time. Unde rthe women's organization, some of these churches have been able to carry on programs of real significance. One has built up a rural community program centered in and around the church. One has made possible a country nursing service and maintained its own nurse until war-time demands for nurses made it impossible to fill a vacancy. One of the city churches carries on a very large Day Care Center. Other parishes boast their own unique services. the Association of Universalist Women holds title to the church of Rocky Mount, built by The Women's National Missionary Association of the Universalist Church in 1927 at a cost of approximately $18,000, and to Friendly House, built in 1925. Title to other property is held in the parish or by the North Carolina State Convention. The budget for 1943-1944 calls for $6,200.00; medical work $2.059.20"
further five page special north carolina service coming up! A friend of mine who read this blog (or some of it) says "where's the personal stuff?" should I add more personal stuff here? Universalism is the belief that God will save everyone. there are different views on how from the redemptionists (which the Charleston SC group apparently was) to the Ultra- Universalist (which Hosea Ballou up in New England was). Universalist as a denomination traces itself back to John Murray (former associate of Methodist John Wessley) who came from England to the USA in the years before the Revolution --- There is even an Universalist miracle story tied in with him... but he was in New England. In South Carolina (and a few miles up the road from me) was Elehanan Winchester, Baptist minister in the 1700s - who converted to Universalism while a preacher in SC (and while visiting a friend in NC), he moved back up north and started the Universal Baptist denomination in Philadelphia. BUT.... the German Baptist Brethren (now the Church of the Brethren) was strong believers in Universalism and there were clusters of GBB in both Carolinas in the mid 1700s. Two things started happening aroun 1795-1805 , the GBB begain to become more like the English Baptists, and Universalism begain to be frowned on - and both GBB and Quakers begain to move out of the Carolinas to Ohio and the midwest; at this point the remaining GBBs in SC (i am less sure about NC- but it seems likely there too) begain to slowly affliate with the Universalist Church. In the 1820s-1850s, the migration west became strong - and the various Carolina families took Universalism with them to Georgia, Alabama, Mississippi, and Texas. Some local ministers, but mostly northern born circuit riders. Daniel Bragg Clayton, grandson of Baptist preachers, converted to Univeralism, became a preacher, and circuit rider in South Carolina and then Mississippi. During the war and the destruction of his house and all his belongings, he returned to SC, and once he had saved enough money (bi-vocational ministers were around then too) became a freelance circuit minister - at one time the only one in the Carolinas - traveling from his base in Columbia to NC, Florida, Missisppi, restarting churches and preaching continously. The three Universalist churches surving in the Carolinas had his input -- one being named for him. Ive yet to study the effects of the segregation struggles on southern Universalism - but these folks werent perfect people, so you bet there was some. the three surving churches are still struggling, still rural - but still surving. who is Hannah Powell? the Rev who ran the church in the mountains of North Carolina - and believed by some - to be who the female lead in the novel COLD MOUNTAIN was based on (the male lead's real life brother was an Universalist minister).